Ras Al Khaimah, United Arab Emirates, June 15, 2015	(Newswire.com) - Grace Century’s bio-banking project, Provia Laboratories LLC, has announced Provia’s first ever patent. 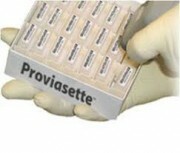 Provia, who specialize in cutting-edge bio-banking products, announced the patent which is entitled “Cryopreservation Device with Retrofitted Electronic Tracking Device”. The newly-developed technology will have significant benefits in terms of monitoring the movement, temperature and tracking of stored bio-specimens and their associated data over their lifetime, which ultimately increases the reliability and integrity of bio-specimens. The banking and future use of bio-specimens is an important aspect of “personalized medicine”, a growing scientific field which is being increasingly employed for selecting the most suitable treatments based on the genetic or molecular information from the individual being treated. The chances of a treatment for an illness being successful are generally higher using a personalized medicine approach compared to using a traditional broad-brush approach, where the treatment given for an illness is based on what has been successful for large sample groups rather than the individual being treated. Scott Wolf, CEO of Grace Century also stated “We have been impressed from the beginning of our association with Provia and their obvious commitment to quality. In our belief, their technology represents nothing less that should be acceptable in this field of research, and this patent is a testament to their commitment”. Grace Century FZ LLC an International research and private equity consultancy located in Ras Al Khaimah, (north of Dubai) in the United Arab Emirates (UAE). Grace Century specializes in “game-changing” life science and health related private equity projects.